Most consumers want to own the latest smartphone model. This is kind of a status symbol these days, and most people find ways to save and buy the latest iPhone model. But not everyone has the privilege. Those who are short of funds can still get their hands on the latest models by selling or trading-in their old handset to reduce the cost of buying a new one. Whether you sell or trade-in your device, you would want to erase all content and settings on iPhone, including the settings that protect your personal details. The reason you want to erase all content and settings on iPhone is that when you part ways with your device, it may go in the hands of an adversary, who can use your details for illegal purposes, or even blackmail you by accessing your private messages and content. That’s why wiping content and settings is essential before selling or exchanging a device. Note: Simply erasing files doesn’t mean they can’t be seen. The deleted data is not permanently erased; anyone can retrieve the files if they know how to tinker with an iPhone. 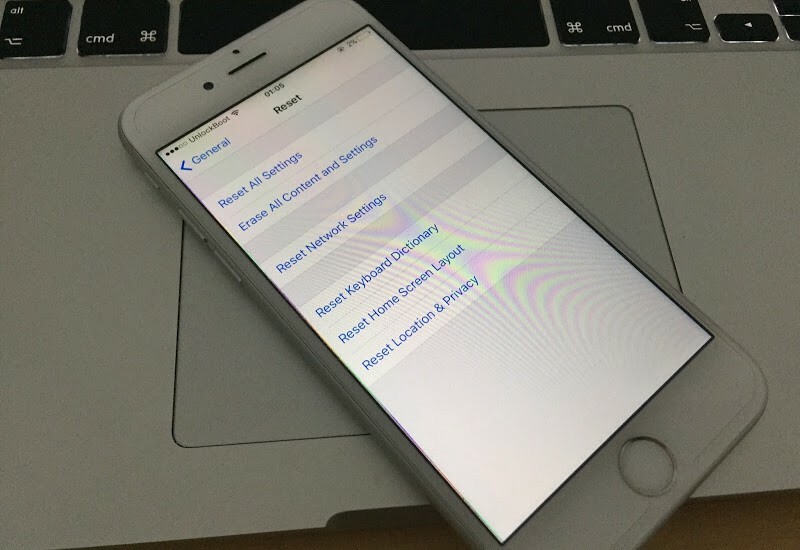 Protecting your privacy by learning how to delete all content and settings on iPhone on a permanent basis. You can do this with this guide. Connect the iPhone to the PC with the latest iTunes version. Under “Devices”, select your iDevice. 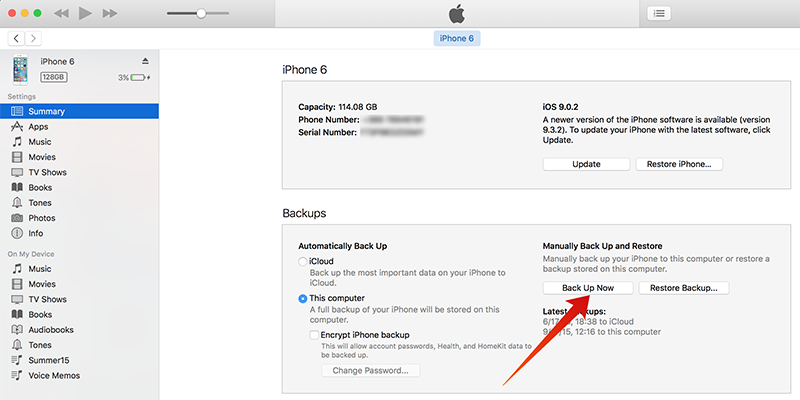 Right click on it and choose “Back Up”. Because the process is going to take some time to finish, you should have enough battery to last through, and it shouldn’t require you to disconnect the iPhone from the PC. But if the battery drains, connect the iPhone to the power source during the process, or plug it into the PC so that it keeps charging. In theory, the step will erase all content and Settings on iPhone, iPod, and iPad – all the media, settings, and data. 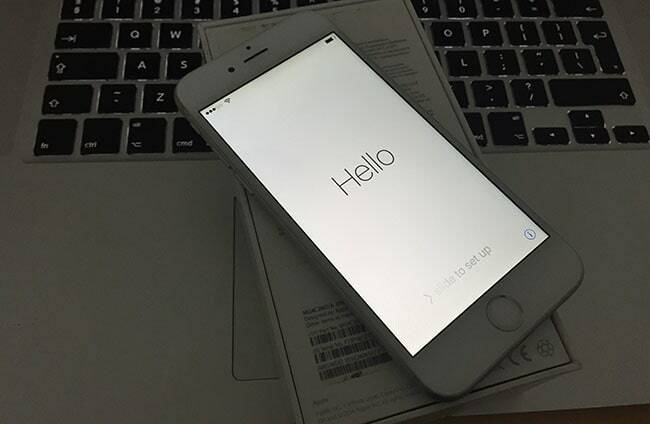 The iDevice will come back to its default factory state. Choose “Erase All Content and Settings”. Tap button 2 times to give confirmation. Erase all content and settings on your iDevice. Please note that the process will take time to finish, based on which device you’re using. After doing “Erase All Content and Settings”, the iPad or iPhone will reboot, and you can check whether the iDevice is properly working or otherwise. Important thing: Just the factory reset doesn’t work well to wipe your data because the data you think was deleted is present on the device and a savvy individual can recover it through the right tools. 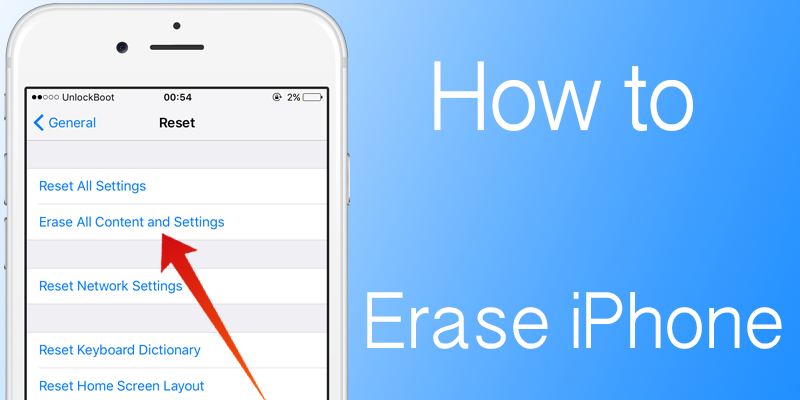 To ensure your information is removed from the iPhone, a better option is to use a professional data eraser tool.